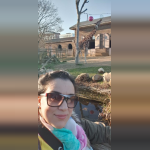 My name is Nabila Fares, I am Ofsted registered childminder with NCFE Cache Level 3 Award in Preparing to Work in Home Based Childcare, level 3 Safeguarding training, Paediatric First Aid and I am a member of CCMA(Croydon Childminder Association). I live in my 2-bedroom house with my husband and my 2 daughters. I have experience with children as I’ve been babysitting for 10 years abroad and in UK and I can speak 3 languages (English, French, Spanish). I am situated in West Croydon Area close to West Croydon Station and local transport network Tram/Bus/Train. I offer a loving, caring, fun and safe environment. I offer a wide range activities and outings. My business is run from my home, and the whole of the downstairs is used for play and learning, both inside and outside. I have a quiet room for sleeping and children have access to a large dinning/playroom with a good range of resources to support them in developing and learning as I will encourage all forms of learning from simple toy play through to crafts, cookery, sensory activities, junk modelling and art. I often take the children to the playgroups, soft play, farm, cinema and many attractions. I provide smoke free environment and I have no pets. For preschool children, my activities will be combination of child adult led, whilst following as closely as possible the EYFS guidelines. This will help me to ensure that we are all working together toward the 6 EYFS goals, for snacks and meals, I do my best to maintain healthy eating programmes. I have a health and safety policy and carry out risk assessments to ensure that as far as reasonably practicable, your child is safe whilst in my care. I have experience with children as I’ve been babysitting for 10 years abroad and in UK, as well I worked as childminder assistant for over 7 years (references are available in request). Below are the latest reviews for Rainbow Cloud. Please note that reviews represent the subjective opinions of other Childcare.co.uk users and not of Childcare.co.uk. Parents must carry out their own checks and references on childcare providers to ensure that they are completely happy before enaging in the use of their services. Nabila has looked after my 3year old daughter and she is a good mentor and would recommend her and anyone who want the best out of childcare. Kids are not always stuck in the house, she took them out to playgroups and has a lot of activities at home . Thumbs up to this caring and great childminder. Thank you Nyarie, it was a pleasure to have your daughter in my setting.